A cultivated species of Eurasian origin, occasionally established as an escape. Roadsides, railroads, near old dwellings, dry forest lands. 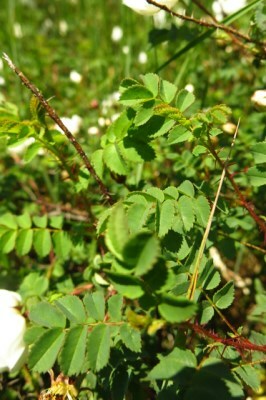 The flowers are solitary and pink, white, or yellow. First collected in 1898 in Ingham Co.
MICHIGAN FLORA ONLINE. A. A. Reznicek, E. G. Voss, & B. S. Walters. February 2011. University of Michigan. Web. 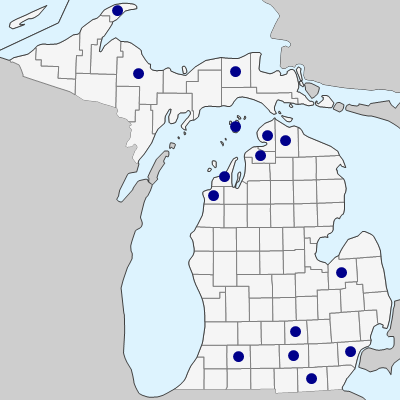 April 21, 2019. https://michiganflora.net/species.aspx?id=2548.